This is the period of celebration for most women in family. 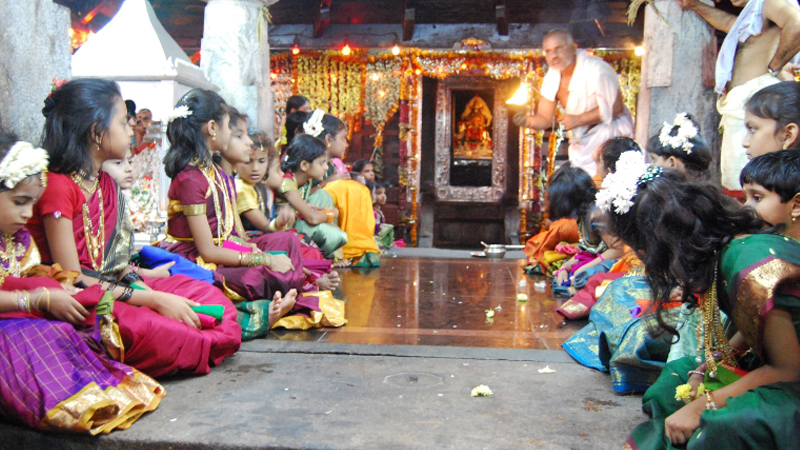 A young girl is called on and worshipped. Kannika Pooja usually happens during the Navrathri season and most family observe Kannika Pooja on almost all the nine days. The young girl’s ankle and feet is smeared with red vermillion coloured paste. Kannika called for Pooja is presented with new clothes and food. The other members in family should join for food only after the young girl has been offered food and other servings.